I have one kitchen gadget that I know people 100 years from now will look at and ask, “What the heck is that?” The gadget is the ice cream maker attachment for the KitchenAid mixer. It is a large bowl that fits on the mixer with a stirring paddle that attaches where you’d normally attach the dough hook or beater. The bowl is double-walled and filled with some magical freezing gel, sort of like an ice pack. 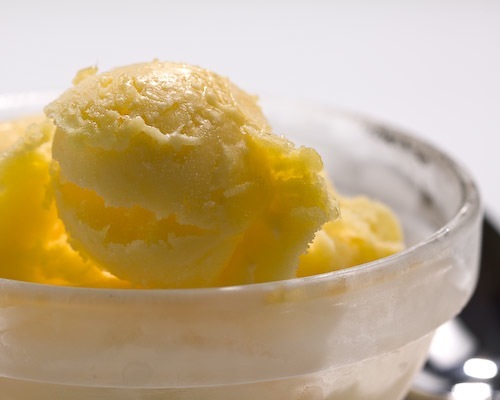 This recipe should work with any ice cream maker. In order to use the ice creamer maker, you need to freeze the bowl for a long time. I left it our freezer for a couple of days to be safe. The freezer in our old apartment didn’t get cold enough so the bowl didn’t stay frozen long enough to make ice cream. No such problem with our current freezer though; the bowl stayed frozen the entire time. Now that I know it works, I am going to give vanilla ice cream another try. My previous attempt with the old freezer resulted in only a cold custard. The only problem I had with this recipe is that it froze too well! The sorbet froze solid like a brick after I put it in the freezer. The solution for this is to add a tablespoon or two of vodka. 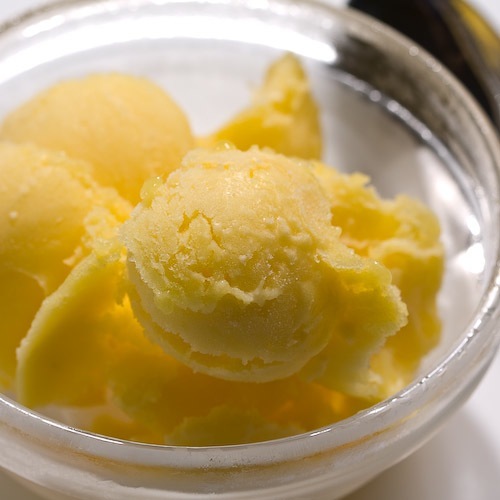 The alcohol lowers the freezing point, making the sorbet less solid when it freezes. 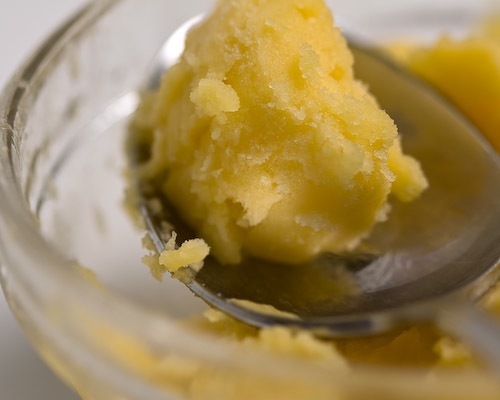 Adding vodka may make the sorbet less kid-friendly…or maybe kid-friendly depending on your child rearing techniques. I made this with frozen mango chunks. If you are less lazy I am sure you could use fresh mango. 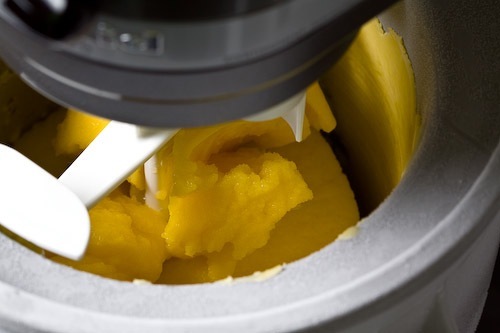 Follow the directions for your ice cream maker and freeze your bowl ahead of time. Add the sugar and water to a small pot and bring to a simmer. Stir until all of the sugar has dissolved. 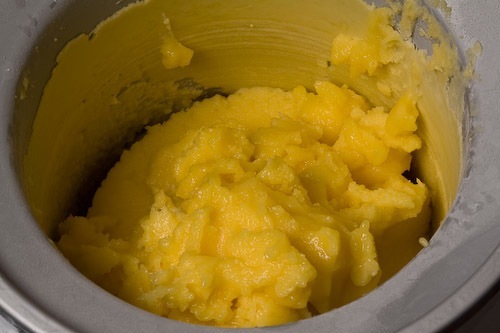 Add the mango, water and orange juice to a blender. Blend until smooth. Refrigerate the mixture for 4-6 hours. 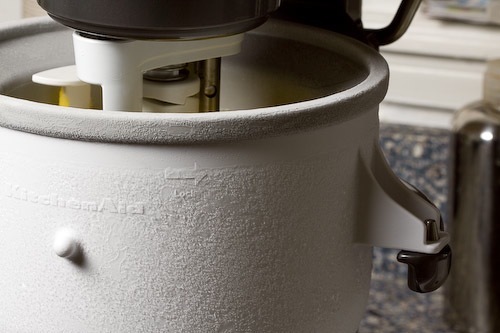 Follow the directions for your ice cream maker and get cooking…or freezing! 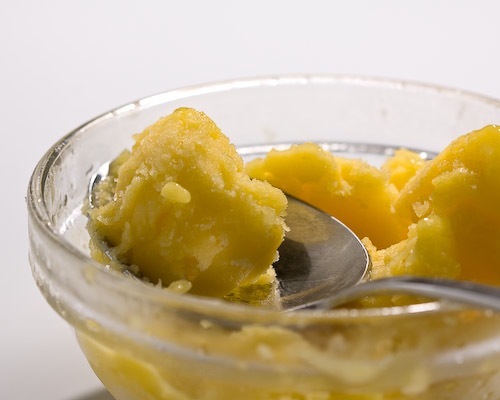 Great, with summer coming on ,I have gone on a sorbet kick. This one is great. Great call Nicole! I have a bottle of amaretto lying around waiting for a good use. I had to look on a map and see where Netherland Antilles is… and now I am jealous! Wow – thanks. I made one very similar and lost the recipe – Hallelujah for your post.